Gearing up for 2019.....you coming? 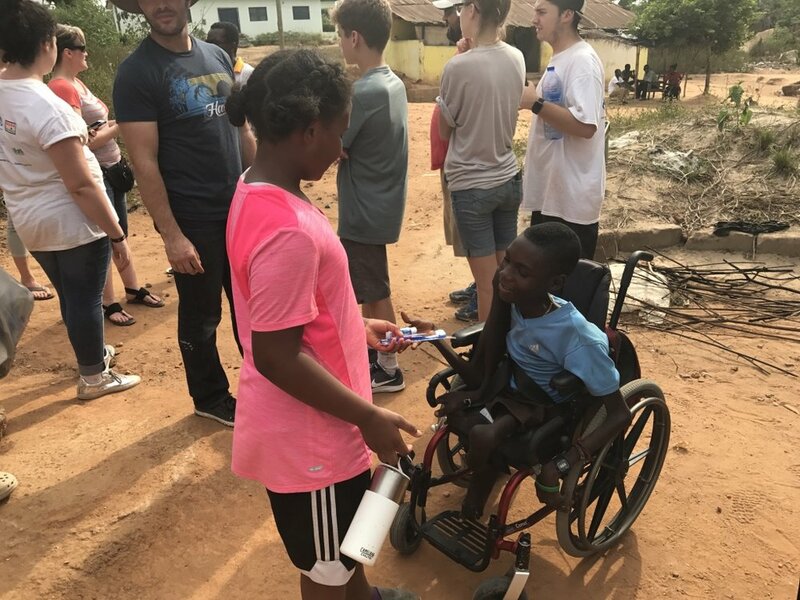 If you want to learn more about this upcoming trip click on the link to learn more https://www.ghanamakeadifference.org/medical-missions.html. Thanks to Cody Shepard and the Traveling Shepards clan compiling this video. As I walk aimlessly from aisle to aisle amongst the mob of motivated shoppers I feel a sense of suffocation. Row after row of gifts and treats all which seem better than the last. You see I’ve played this game before. Year after year searching for the “perfect” gift. Christmas morning comes the joy is immense, the excitement palpable as the “perfect” gift is opened. High pitched voices bubble over as they shrill “Thank you mom and dad I always wanted this!” Then as quickly as the “perfect” gift is opened it is set aside to open the next “perfect” gift. The cycle is repeated through the morning. The dust settles after the minutes it took to unveil months of preparation. The months go by as the “perfect” gift begins to collect dust. The cycle culminates just prior to the next Christmas as the “perfect” gift is donated to the local thrift store to make room for this years batch of “perfect” gifts. Oh these kids are so brave! It’s funny how certain little moments get immediately woven into your soul. One of these moments was captured in this short video by one of the volunteers in the room. I nod my head to tell her it’s going to be ok. She smiles and gently nods back. In that moment we were no longer strangers. I was her brother and she was my sister and God was in this moment. I can’t wait to share with you her results in a later post. A huge shout out to Stacey Hofman for being the ultimate advocate for these beautiful children. Thank you Ghana Make A Difference for allowing me to be a part of your mission. As we give thanks I wanted to share this quick story. Last year this beautiful strong girl was brought in by her father. She had been severely burned on her leg and stomach. The scar tissue on her leg had so severely contracted that she could no longer extend her leg. It was permanently in the bent position making it incredibly difficult to walk and impossible to run. 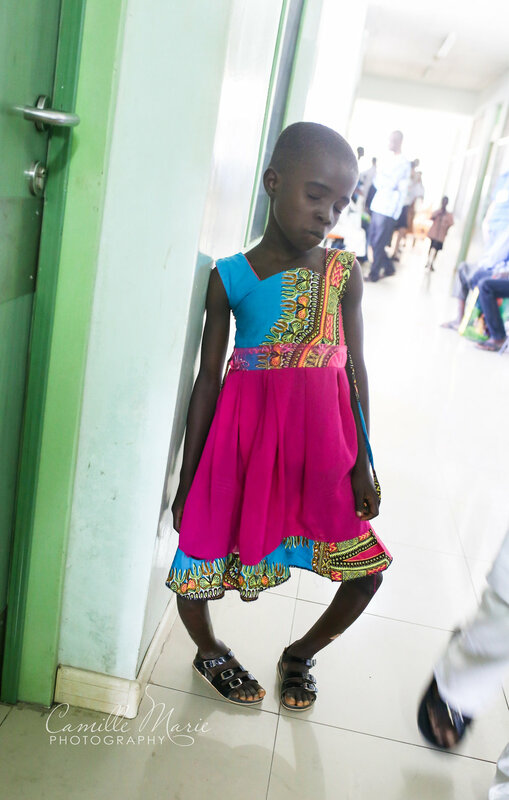 We told her father that we would be happy to try to help her by removing the scar tissue the best we could and reorienting the position of the scars. We told him that it may help but it may also make it worse depending on how it healed. The father looked at the daughter and asked what she wanted to do. With great conviction she affirmed that she wanted to try. Surgery was long as we removed the scar tissue, reoriented the scar lines, and finally skin grafted the defects. Surgery went well but only time would tell. We left the next day not knowing if we had done her a service or condemned her to a life of difficulty. Fast forward now to last month. We arrived at the hospital early to get a jump on the cases that day. I left the operating room to check on my patients in the wards. From the corner of my eye walking up the road I saw this kind father and this brave girl. My heart immediately sank as all of my anxieties about her case came rushing back. I quickly began to walk to her desperate to see how she was walking. My heart exploded with joy as I saw each perfectly placed step followed by another. She saw me and began to run towards me. I could not control my emotions as I felt pure gratitude. Remembering they had come from a great distance at significant personal expense I asked her father if the surgery needed to be revised or if there was another problem they needed addressed. He looked confused by my question. He said “We do not need anything Doctor Dayne we have simply come to tell you and your team thank you.” May we all remember to give thanks in all things. Seriously such beautiful people! This handsome young boy had this facial growth for several years. He was mocked and ridiculed for something he could not control. He came from hours away just hoping to be seen. He was brought by a man who could only walk with the assistance of crutches who had the kindest smile you have ever seen. I have thought about this boy and the kind man who brought him several times since my return. They had nothing but a kind smile to give as form of payment, but yet I am the one who feels indebted to them. Thank you brave young boy, and kind old man for teaching me again how good people can be. #1. What is the operating environment like? To be honest with you this was one of my questions as well. I didn’t want to go to a remote area provide substandard care, abandon a patient shortly after the surgery, and then fly out feeling like I had done “good”. I can assure you that this is not the case. We operate out of a local hospital with three operating rooms. The hospital has a recovery area as well as surgical wards for postoperative care. In several instances local surgeons will be in on your cases to assist and learn any new techniques that you might be using. In fact the relationships created with the local doctors was one of my favorite aspects of the trip. I learned a lot from them and came to greatly respect them. Postoperative care plans are left for each patient ensuring that their care continues long after you have left. Waiting to be seen to see if we can help them. Every day the waiting area was filled to capacity. #2. What type of cases will we see? Let me assure you that if you have a skill set and you can operate, then you will be an asset on this trip. Our goal would be to have as many different surgical subspecialties as possible. Currently we are actively recruiting: Anesthesialogists, CRNA, General surgeons, Urologists, OB/GYN, plastic surgeons, oral and maxillofacial surgeons, ophthalmologists, Head and Neck Surgeons, Orthopedic surgeons, podiatrists, dentists, and all the associated support staff we can get our hands on. Once our surgical team is finalized we will advise the local team what pathology we will be ready and able to treat. Patients will be selected to match the different types of surgical specialists that we bring. #3 Is it safe for my family? Yes! I bring my family and they are always begging to go back. When I was doing my homework on this topic a dear friend of mine; who currently lives in Ghana, told my wife and I that Ghana was “Africa for beginners”. I would strongly encourage you to consider bringing your family along. While in the country all transportation and lodging are provided. You will always be with the big group. You are never left to figure things out on your own. The people of Ghana are so kind and this is a great and safe place for families. #4 What will my family be doing while I am at the hospital operating? Your family will get to experience the best of both worlds. 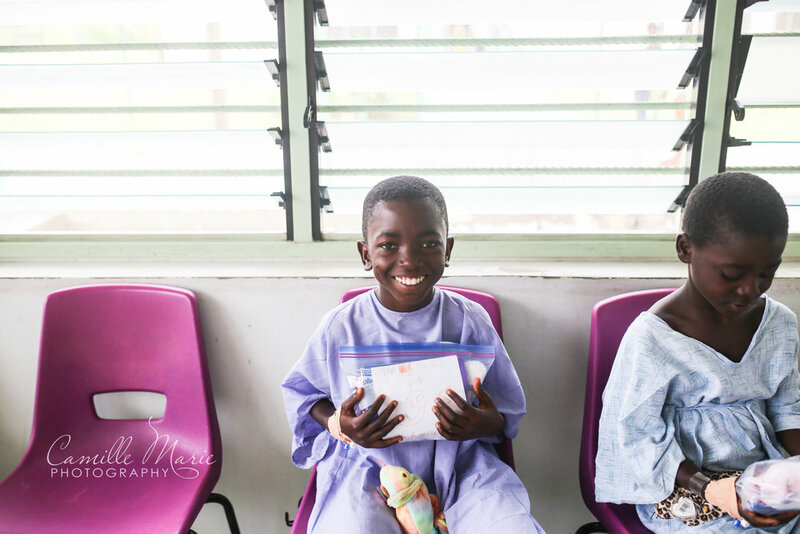 They have the option to spend time with you at the hospital, as well as serve back at the Ghana make a difference home. While at the home they will sing and play with the children, paint houses, build chicken coups, make bricks, and so much more. Often times when I would come home from the OR late at night and ask my wife and kids how their day was I was jealous of the things they got to do that day. They will have the opportunity to visit the local village and hand out supplies, play soccer with the kids, help with school work, and so on and so forth. I promise it will be something they will never forget. #5 What documentation do I need to get into the country? From a medical standpoint we will just need a copy of your medical school diploma and a copy of a current license. You will also need a current passport and visa. In order to enter into the country your vaccinations will need to be up to date and proof of vaccination will be required for both you and your family. Your local health department will be your best resource. They may also prescribe you doxycycline for malaria prophylaxis. #6 How much work will I miss? The trip is scheduled to leave on a Friday afternoon and have you back by the following Sunday evening. We did this intentionally so you will only miss one full week of work. We understand that this is a sacrifice and we are so grateful that you are willing to make it. #7 Do we just operate the entire trip? 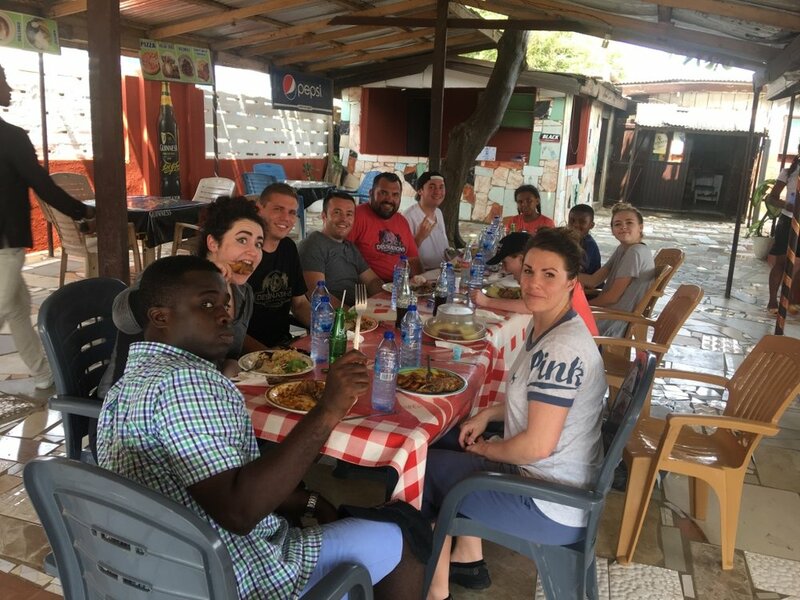 At the end of the medical mission trip and prior to returning you to the states and your busy practices we have a few days or rest, relaxation, and site seeing. #8 Do you need any other providers? The short answer is yes. We are always looking for providers who are ready and willing to participate. Please forward this information on to whomever you think might be interested. We would also be willing to contact them personally as well. #9. Do you need any supplies? Again the short answer is yes. We are responsible for all of our supplies, medications, dressings, etc. We have a committee whose responsibility is to find and procure all needed supplies. If you have any connection to supplies, equipment, dressings, etc please let us know. #10. Sounds great, but how much does this cost? The $1,600 includes everything while you are in Africa (transportation, lodging, food, admission to the locations on the tourist days). In Africa the only thing you will need money for is if you want to purchase souvenirs. This list is by no means all-inclusive. If you have any additional questions please do not hesitate to reach out to our team to set up a time to learn more. 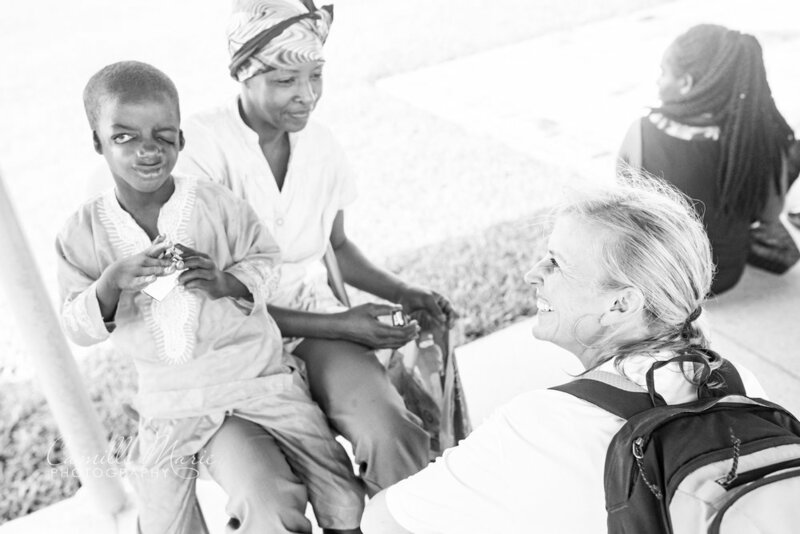 Click on the video below to a great recap of our last medical mission trip. I promise this experience will be a once in a lifetime opportunity. Are you ready to go? Do you want to reserve a spot for you and your family? Visit www.ghanamakeadifference.org and reserve your spot. We invite you to learn a little about life and perspective by watching this video. Molly is our 13 year old daughter who teaches us daily as I watch her battle cystic fibrosis. A special thank you to the Utah Chapter of the Cystic Fibrosis Foundation who first shared this video. A huge thank you to my dear friend Zach Fackrell for shooting and producing this video. What a great experience! If you want to get involved visit www.ghanamakeadifference.org or message me. Thank you Zach Fackrell for the video. Thank you Hoffman family for all your hard work. Thank you to the beautiful West African people. You will forever have my heart. See you soon. I thought I was going to change lives, but mine was the life that changed. Every doctor has something that got them through medical school. A particular goal, desire, or aspiration from which they drew strength as they sludge through their academic beating. For some, it was the life long pressure to take over a fathers thriving practice. For others, it was the hope of financial independence. Whatever the reason or goal, I promise you every doctor had one. They tucked it away and brought it out as they studied into the early hours of the morning. They visited it in their minds as their pager sounded like an evil siren calling them away from sleep and back into the dimly lit hallways. When hope was lost and all they wanted was to quit and do or be anything else in this entire world but a doctor they remembered their “reason” and pushed on. Like all before me, and all after me, I too had a “reason”. It was my truest companion and never betrayed me. It pulled me through seasons that I wish to never relive. My “reason” was knowing that one-day, if I could finish, I would be able to take the surgical skills that I had acquired to serve and treat forgotten souls. To me it did not matter if that was in a clinic down the road, or on a continent across the world. I just knew that somewhere these forgotten souls were waiting for me. They were my “reason”. On the ride to the airport as our driver skillfully weaved through chaotic traffic and dodged potholes I decided that my “reason” needed to be bigger. It needed to have a broader more meaningful reach. Those mothers needed to know that as one team left, another would shortly return. It is with this in mind that I write this post. This is a call to action to my wonderful medical colleagues. Come join a cause that will be more rewarding than any award you have hanging on your wall. If your “reason” is anything like mine, dust it off and come join our fight. Many of you are doing such wonderful things that are absolutely inspiring. Thank you for your service. I truly believe that most want to serve, otherwise we would not have gone into medicine. We simply get so busy and burdened with “non-patient” things (i.e. billing, paperwork, compliance trainings, etc.) that the time just passes us by and we become ever more buried alive. However, consider this your personal invitation to be a part of something more meaningful. 8 weeks have come and gone since Molly started the Orkambi medical trial for pediatric aged patient (the same medication from this video that changes this young woman's life). There have been many ups and downs. Many have asked if the sacrifices required to participate in this trail are worth it. Our response is both resolute and affirmative. Whatever the cost we remain grateful. Gratitude, albeit important, is not the overwhelming sentiment that fuels our collective fire. The sentiment that we have longed for that sustains our course is that of HOPE. You see for so many years it was the thought of hope that propelled our fight, but now it is no longer the thought but the actual sentiment that we enjoy. I, unlike many fathers, look forward to the day my baby is dressed in white waiting for me me to walk her to the altar. I pray for the day she will leave me and go off to college. I anxiously await her asking me to travel the world, or experience one of lives many adventures. Because with each heart breaking moment I will know that she has won. I now HOPE for a brighter and better future for her than ever before. Thank you for taking the time to read and share in our fight. A huge thanks to the Oklahoma City Cystic Fibrosis foundation for creating this video. With every normal breath we take we should remember those who are not as fortunate. When I found out that Brooke was pregnant with our first child I remember being so excited. I could not wait to be a father. I decided that we needed something to identify us, a symbol that would represent what we stood for as a family. After very careful consideration, I had selected our “symbol”. I came home from work one day and informed Brooke that our family was going to be the “wolf pack”. I am sure that when I told Brooke about my theory of the “wolf pack” she probably questioned her choice in a spouse. Nevertheless, to me it stood for everything a family should be; fiercely loyal, family centered, and united. The success of our family unit as a whole would be determined and forged by each of its members. A small excerpt from the poem “Law of the Jungle” by Rudyard Kipling summarizes my sentiment beautifully. There have been several things that have caught me off guard since becoming a parent. I now worry about scenarios that a few short years ago I didn’t even know existed. To say at times that I have felt unprepared in dealing with these issues would be nothing short of an understatement. One of the biggest “surprises” for me about being a parent is witnessing firsthand how nasty children can be to one another. These little bodies have no filters. Think it…..say it, regardless of the consequence. The other interesting associated observation is that the meaner the kid, the more popular they are. The reality of the situation is that those individuals that are feared for their sharp tongue are befriended by the insecure in an attempt to deflect any cutting remarks on the basis of “friendship”. The insecure then try to emulate their leader in an attempt to fit in. It is nothing more than a survival tactic. They build themselves up by tearing others down. It is with this preface that I write this post. I’m sorry that you had a hard day. I’m sorry those kids decided to pick on you. I want you to know that I am so proud of you. I love that you accept others and always invite them to play. You have such a kind heart. You are as beautiful on the inside as you are on the outside. This is a rare and special combination. When your mother and I were picking your name we knew that it needed to be something beautiful and special like you. We couldn’t just name you Kel because that didn’t seem complete. I loved you so much that I wanted the whole world to know that you were mine. You see you are not just Kel…..you are “my” Kel, and that is where the beautiful name Mykel comes from. There are going to be mean people around you your entire life. They unfortunately never go away. Pay them no attention. Stay kind and you will be happy. My father and Molly promoting both the family business and her fight against CF. We reviewed the numbers and are overwhelmed by the generosity of so many. Help us to make CF no longer stand for Cystic Fibrosis, but to stand for Cure Found. When I began posting about Molly and the walk I mentioned that I wanted to tell the rest of Molly’s story. The parts that I feel most often get forgotten. When we meet new people, or people find out for the first time that Molly has cystic fibrosis, they almost always say “…she looks so good… what are you doing to keep her so healthy?” Tonight I want to tell you the biggest part of the story that gets forgotten and state with 100% certainty that Molly’s secret weapon is her Mother. I watch in awe as she cares for not only Molly but the rest of our family. Every day Molly has two or three 90 minute breathing treatments that must be done. My wife refuses to let Molly sit in her room alone during these treatments. She stays with her knowing that there are a hundred other things that need to be done yet none that are more important than this. Molly must eat an extremely high volume of calories each day to maintain her weight. Brooke cooks multiple meals each day so that Molly can continue to grow. During the night Molly is fed through a feeding tube to continue to augment her caloric intake. The feeding ends at 3am. Brooke gets up with her, detaches her feeding tube, cleans her stomach, gives her a drink of water, and tucks her back into bed. The list goes on and on. I do not know where her days begin and where they end. From the second Molly was diagnosed with cystic fibrosis Brooke has devoted her life to the cause. Brooke has traveled every step of the journey, sat through every treatment, and been to every medical appointment. She has felt every heartache and experienced every bump in the road. Yet, I have never seen her sad, or heard her complain. She still exudes life and laughter. You see I am convinced she is Molly’s secret medicine. To be truly loved by Brooke, as Molly is, makes everything else seem less important. Thank you Brooke for guarding our angel. I love you! Visit our site, share our posts, donate to our cause! Go Team Molly!